MD Barnmaster offers round pens to provide the horseman with everything necessary to make a ranch or equestrian complex. 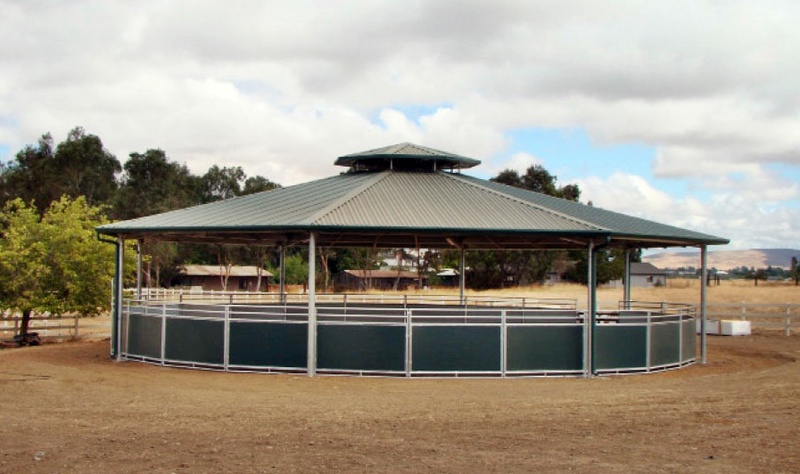 Round Pens can be configured in any shape and size and can be covered or uncovered. All Round Pens feature the same heavy gauge galvanized steel and extra heavy duty hardware to provide our customers with the same strength and durability as our other MD Barnmaster products.